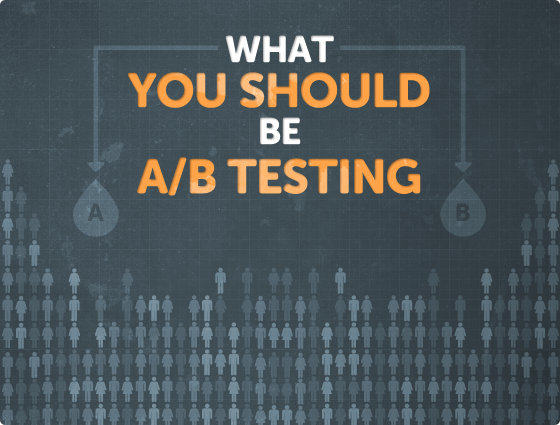 The A/B Testing Question Everyone Wants Answered - What Should I Test? 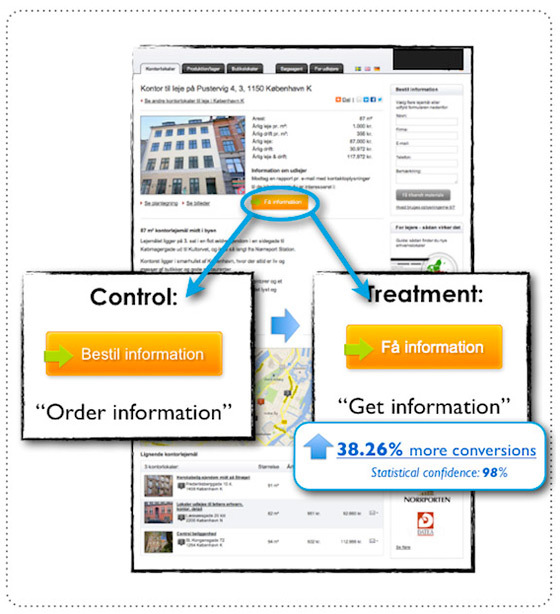 The A/B Testing Question Everyone Wants Answered – What Should I Test? Sure, we all know that we should be testing our website and landing pages, but if you’re not an expert in optimization, how do you know what you should be testing? Here are 3 examples to give you some inspiration and get you started testing some of the most important elements on your page. 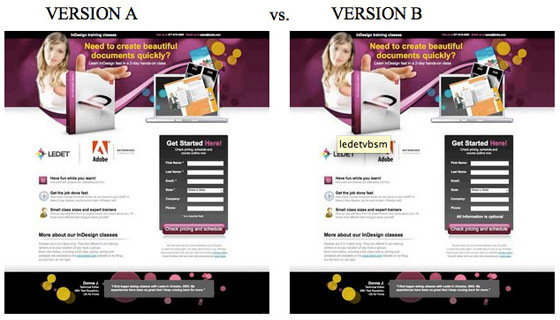 And if you like these, you’ll want to download our free “Ultimate Guide to A/B Testing” (PDF). Plus: This marks the beginning of our A/B Testing week – so get ready for more great insights all week. Your headline is your first impression. Its success is dictated by how closely it matches what your viewer expected when they made the decision to visit your page – whether clicking an ad, banner or email link etc. You can try testing positive versus negative language in the way you express your value in the headline, for example: “Save Time By Downloading Now” vs. “Stop Wasting Time, Download Now”. Often you can guess which will work better, but testing lets you know for sure. People are impatient and will read your headline very quickly to determine whether they are in the right place, so communicates your core value proposition in a way that makes it really obvious what your offer is. To assess problems with your headline try a 5-second test: where you flash the page in front of a person unfamiliar with your brand for 5 seconds and ask “What is this page about?” If they don’t know, it’s not clear enough and time to revisit the messaging. In this headline test by WhichTestWon version A increased visitor form fills by 27.76% by changing the headline and subhead wording. The majority of landing pages include some kind of form to capture data from your visitors. To make them effective you need to be offering something in exchange for the data. Examples would be an ebook, whitepaper or webinar registration. But what do you test on the form? What you’re trying to do is balance your need for data with the “size of the prize” (what you’re giving away) to find the optimal point of conversion. Here’s a surprising one. The test was to see if making all the fields optional would increase conversions. Seems like a no brainer right? And it did win – by 31%. The surprising part was that the quality of leads actually improved too (the natural assumption being that you’d get a bunch of junk – I guess trusting people really does pay off). Your call to action IS your conversion. It’s what you want your visitors to do (and nothing else). If people aren’t converting, your call to action may be in need of an update. Strong CTAs should reinforce the line of thinking introduced in your headline, content and imagery, effectively ending the story of your page with a solid “what to do next”. Huzzah! An example from our own blog. In this series of case studies on how to write CTA’s that convert there is a simple one (shown below), where they achieved a 38% lift in conversions by changing a single word. If you learned something useful from these three examples you can see a bunch more and learn all you need to know about A/B testing in our Ultimate Guide to A/B Testing (PDF).